Living in the West means living with wildfire. We use maps, data, and conversation to help communities understand and manage their wildfire risk. Along with our parent company, Firestorm, we offer full-service wildfire hazard mitigation – from design to implementation. We use our expert knowledge of wildfire behavior and land management to develop tangible projects that affect real changes on the ground. DCR’s wildfire mitigation experts have helped to develop wildfire pre-plans in the Lake Tahoe Basin, Lassen Foothills, San Luis Obispo area, Klamath Mountains, Sierra, Plumas, El Dorado, Amador, Monterey, Nevada, and Yuba Counties. Also, our staff (working for NorthTree Fire) developed a major hazardous fuels reduction project for Lick Observatory, on Mount Hamilton, on Santa Clara County, and developed the Plumas County Hazardous Fuel Assessment & Strategy. Major projects have included the Lassen Foothills Fire Management Plan for 85,000 acres of Nature Conservancy land in Northern California, a fire management plan for Palo Corona Regional Park, on the California Central Coast. Community Wildfire Protection Plans for the entire Lake Tahoe Basin, wildfire and fuels sections for the Eddy Gulch LSR Forest Restoration project EIS on the Klamath National Forest, and plans for managing wildfire-caused erosion within the 50,000 acre Morro Bay Estuary watershed. Additionally, DCR staff performed cost-benefit analyses for fuels management projects across 35 million acres of public lands administered by the Nevada BLM. With over 40 seasons of wildfire experience, Barry has worked as a firefighter, Hotshot Crew Superintendent, district fuels officer, Type I Incident Commander and Operations Section Chief, and as Deputy Regional Chief for the US Forest Service in California. Since 1997, Barry has worked in the private sector, consulting on numerous wildland hazard mitigation and ecological restoration projects across the western United States. As the prescribed fire specialist for the USFS in California, Barry participated in emissions work for the Grand Canyon Visibility Transport Commission. He was also responsible for the creation of the Interagency Smoke Management council a group of statewide representatives from the prescribed fire community and the air quality community. As owner and principal of WILDLAND Rx, Barry has provided wildfire expertise to a wide range of clients including the US Army, the Tahoe Regional Planning Agency, the US Forest Service, and numerous community-based firesafe councils in California and Nevada. Mr. Callenberger is an expert wildfire behavior analyst and is one of only a few private contractors that is currently qualified by the US Forest Service as a Prescribed Fire Planner and Burn Boss I.
Paul manages DCR’s GIS mapping operations and prefire planning projects. He has over 15 years of experience in land use planning, wetland delineation, vegetation mapping, and environmental document preparation. He is skilled in all major GIS software platforms. Paul facilitates community mapping exercises, hires and supervises GIS technicians, and designs prefire planning projects. His professional experience ranges from working as a Range Control Specialist, maintaining accountability and safety for crews removing unexploded ordinance (UXO) on Kahoolawe Island, in Hawaii, to using demographic data to help school districts to secure funding for new facilities. 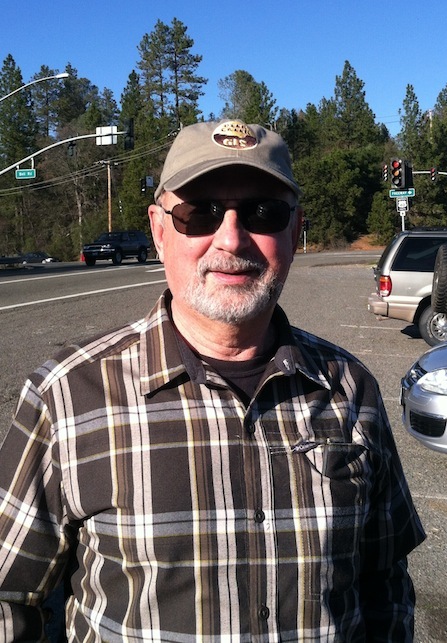 Paul is a qualified Incident GIS Specialist (GISS) with experience on over 35 major forest fires in 3 Western States. 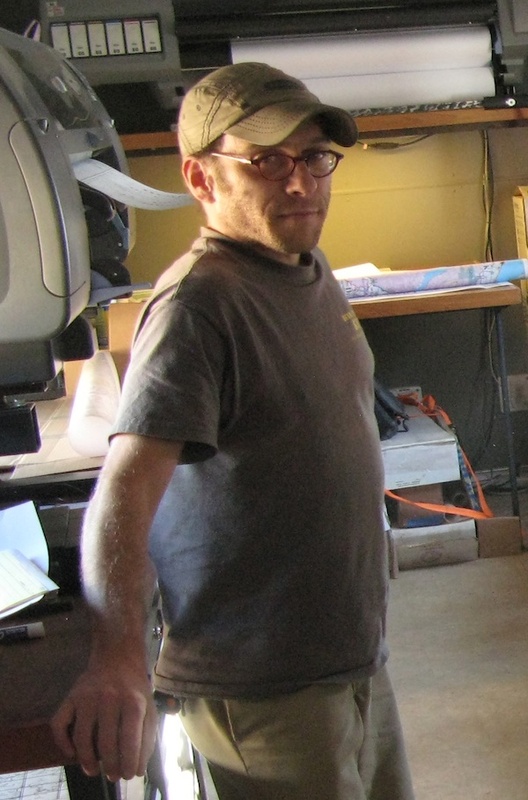 Zeke Lunder started DCR in 2011. He has been working in wildland fire management and forestry since 1995. 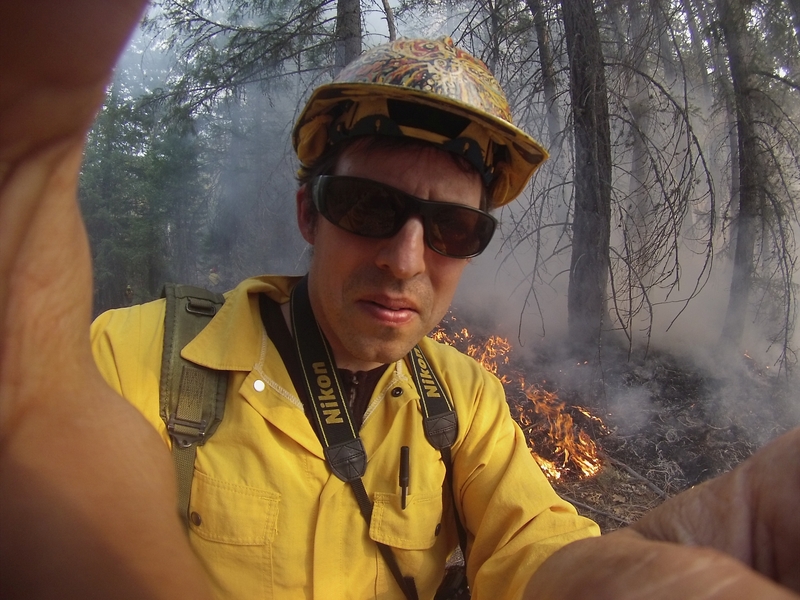 A geographer specializing in wildland fire issues, Mr. Lunder uses mapping tools, photography, and web technology to engage people in the management of land and water. Assembled a project GIS, facilitated community collaborative mapping meetings, edited community-provided mapping data, and produced planning and final report maps. Evaluated current conditions on 150,000 acres of industrial timberland in Western Oregon. 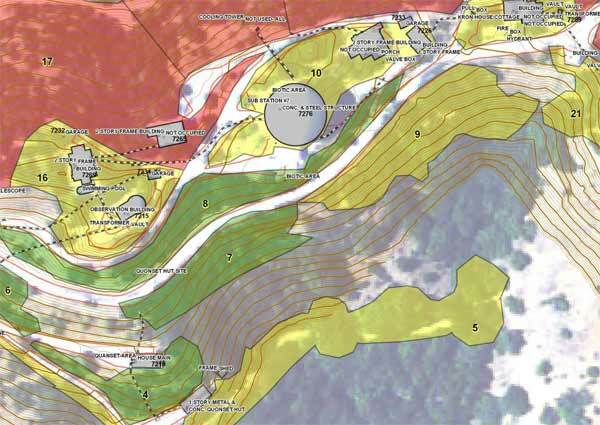 Used timber stand data and ground surveys to develop data to run FLAMMAP software. Used FLAMMAP, FireFamily+, and FMA+ to develop scenarios for timber losses. Developed criteria to use in developing future harvest plans that would strategically alter continuity of young stands, reducing likelihood of large fires. Evaluated wildfire hazards and resource management issues on new 10,000 acre park adjacent to Carmel Valley, California. Mapped access, water, fuels, sensitive species, and WUI areas. Ran FLAMMAP software to model potential fire spread scenarios, and developed strategies for wildfire suppression. Researched applicable sections of California Public Resources Code, and developed prevention recommendations. Mapped wildfire fuels and developed unit-specific fuels photoseries book for land managers to reference to understand potential hazard for each major vegetation type on the site. Conducted parcel-level surveys for over 7,500 individual homes in the Sierra Nevada Foothills. 12 attributes were collected for each structure, including: Building and roofing materials, vegetation attributes, fire hazard, and firefighter access. Survey results (delivered to county employees via open-source interactive web-based maps) were used to prioritize code enforcement actions. Wrote successful $500,000 grant for hazard reduction work on Mount Hamilton around Observatory facilities. Modeled potential fire behavior using FLAMMAP, and used outputs to refine design of fuels hazard reduction projects. Authored potential impacts sections of CEQA documents. Developed vegetation management prescriptions and maintenance requirements for each treatment unit, and conducted before-and-after photopoint monitoring of project. Burned piles. Used Government Lands Office records from late 1800s and other historic vegetation mapping along with terrain and soils data to model historic vegetation conditions in Whiskeytown National Recreation Area and print an NPS-standards-compliant display map. Provided GIS support and collected fuel loading data and photopoints on public and private land within the Lake Tahoe Basin. Used IKONOs 1m infrared satellite imagery and ground surveys to evaluate forest canopy closure and map areas for mechanical thinning, hand thinning, and brush mastication. Collected fuel loading data and photopoints at 86 different locations to represent range of fuel loading conditions across 1.6 million acres. Used Landsat TM satellite data, US Forest Service fuels mapping data, and ground surveys to develop FLAMMAP and FARSITE layers and run models to predict rates of fire spread and potential fireline intensities. Developed specific hazard reduction recommendations for each of the 45 “communities at risk” listed in the Federal Register. Mapped vegetation conditions, reviewed existing wildfire policies for adjacent National Forest and State lands, and developed landscape-scale fire management and prescribed burning strategies to reduce noxious weeds and benefit native species on the Nature Conservancy’s 900,000 acre Lassen Foothills project area (Eastern Tehama County, California). The plan identified unit-specific fire management objectives, and prioritized units targeted for prescribed fire. It also included unit fire prescriptions and plans, along with initial documentation required under by the California Environmental Quality Act (CEQA), for priority burn units. Identified areas with high wildfire hazard and established strategies for integrating fire and fuels management into long-term ecological restoration projects within the 50,000 acre Morro Bay Estuary watershed. Designed and mapped fire history research plots, coordinated field crews responsible for collecting and preparing fire-history tree-ring cross-section samples for Whiskeytown National Recreation Area (NPS). Client: Deer Creek Watershed Conservancy with funding from EPA. Identified potential erosion hazards associated with high-severity wildfire in the watershed and evaluated the feasibility of implementing a landscape-level network of shaded fuelbreaks across the 130,000 acre Deer Creek Watershed. Compiled and analyzed existing GIS data, conducted field-surveys, and used ground observations to interpret stand composition and densities on oblique aerial photography collected from a light plane. Facilitated meetings with land managers and biologists, and published a final report. Wrote wildfire and fuels management chapters evaluating current fire suppression infrastructure, wildland fire hazard, potential fire behavior, and general strategies for reducing wildfire-caused property damage within the Big Chico, Butte, and Deer Creek Watersheds. Validation of existing fuel profiles, analysis of expected fire behavior using BEHAVE and FLAMAP, identification and mapping of fuel treatment projects, and prioritization of fuels treatment projects for the county. Developed a fuels treatment strategy for the seven fire protection districts within the Tahoe Basin. Presented the strategy to the fire districts and the community. Wrote a Fuels Management Plan and the necessary NEPA documentation for the Hoopa Valley Reservation which allowed them to create a funding stream for fuels treatment projects. Prioritized projects to provide wildland fire safety for resources and the community. Reviewed burn plans and assisted in development of fuel hazard reduction projects. Combined all the Tahoe Basin Community Wildfire Protection Plans into one document. Participated as a subcontractor to Red Inc. on the development of an EIS on the Klamath National Forest. Provided fire behavior modeling and fuels and fire input to the document and developed a Fire Shed Assessment for the project area. Fire Shed Assessment is an interdisciplinary approach to modeling fire behavior and developing a collaborative approach to solving fire and fuels problems with the communities. Provided fire behavior modeling and fuels and fire input to the documents as well as the Air Quality section for the EAs. Carrollo, Engineering, Santa Barbara, California. For Contra Costa County Water District, Jones and Stokes Associates. Wrote the burn plan for a burn on the Las Vaqueros Reservoir for habitat restoration and fire protection.